The CUPA PIZARRAS R&D team focuses in developing new solutions in natural slate. 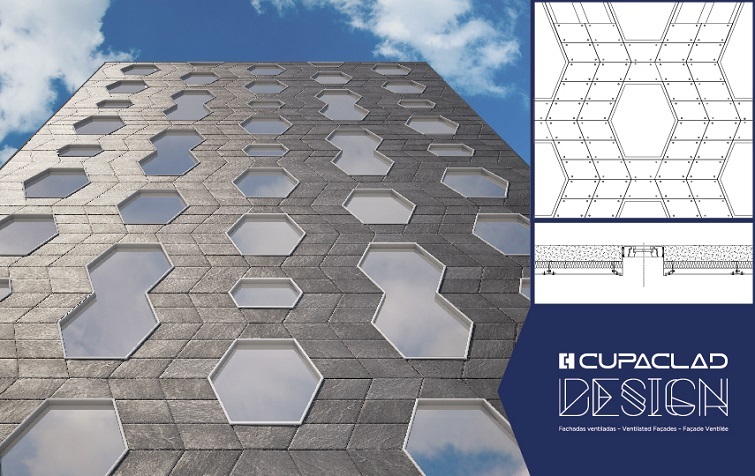 CUPACLAD Design is the result of their work, a group of ever growing concepts which show the boundless possibilities of natural slate rainscreen cladding systems. 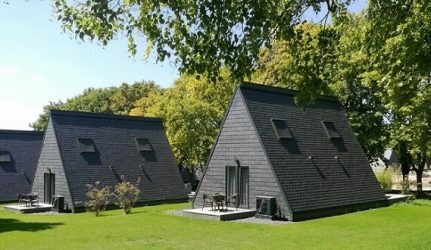 The best way to cover and isolate facades, now offers us a new concept: Ascent This design is constructed by combining two types of slate: 40 x 20cm rhomboid, and 50 x 25 trapezoid shaped natural slates. 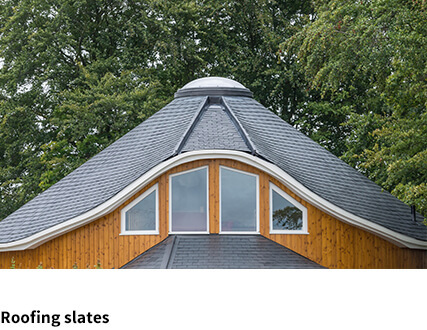 Slates are fixed with 4 stainless steel flat headed screws, specially designed for natural slate by our R&D team. Each piece has 4 fasteners to fix them perfectly. Ascent, the fourth CUPACLAD Design concept released to the public proposes a dynamic style based on simple geometric shapes. 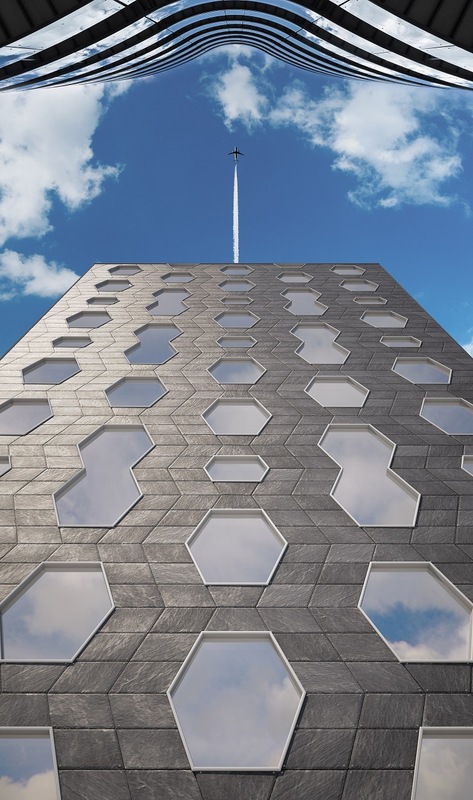 When applied to the facade of a tower this new concept creates dynamism and volume with a combination of organic shapes. 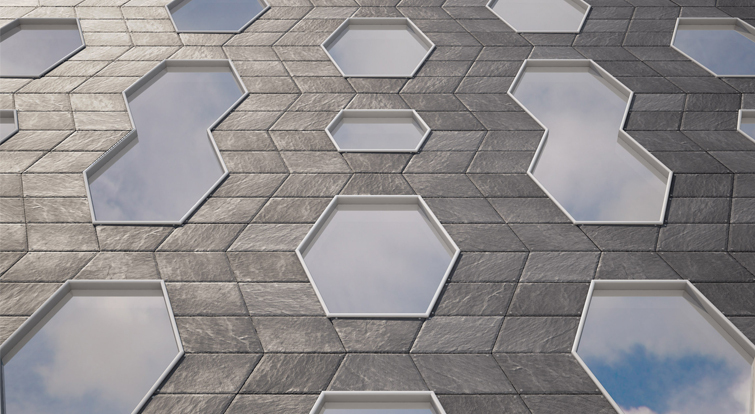 This new design seeks to show the possibilities of slate through different shapes. Especially designed for high buildings like towers, where volume and movement sensation are reinforced. Besides, the architect can create different types of spaces freely to show his ideas and his imagination. 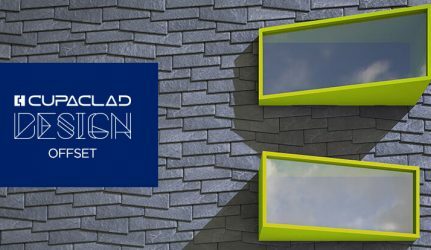 DISCOVER THE POSSIBILITIES OF CREATION WITH CUPACLAD DESIGN! 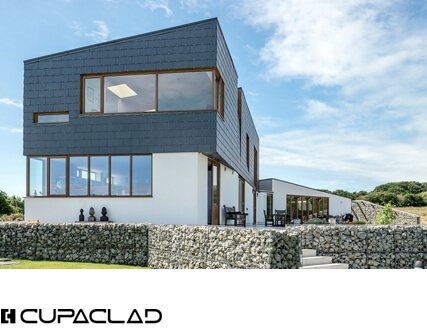 CUPACLAD Design is born as a challenge for innovative architects: our goal is to encourage him to design revolutionary projects with natural slate, an efficient, durable and sustainable material. 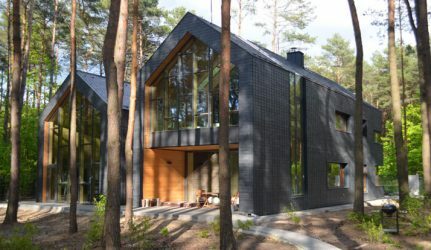 Natural slate is a unique material that lasts for more than 100 years, and adapts perfectly to any type of project and facade. 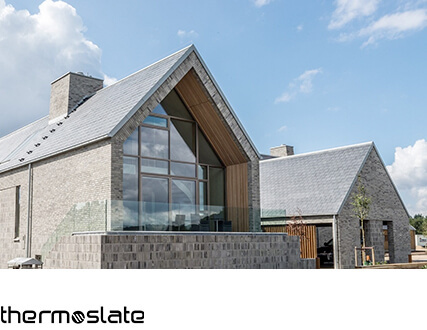 CUPACLAD® systems have been especially designed to adapt slate to the newest design trends, which seek more ecological, durable and, at the same time, attractive solutions. 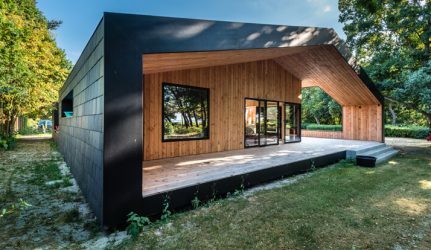 Are you a building professional interested in using this new concept in a building? Don’t hesitate to contact us if you have questions or need any technical details on our Ascent system. 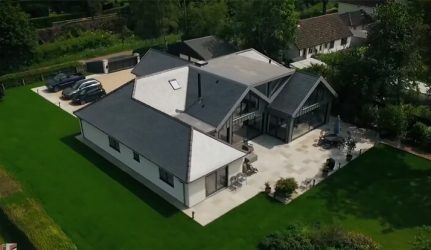 Our teams of CUPACLAD engineers and natural slate experts are completely at your disposal. 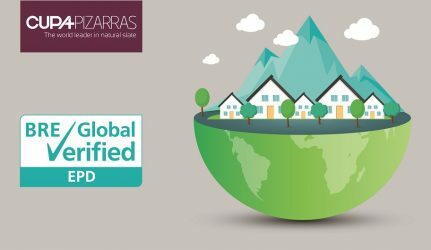 Write to us to: cupaclad@cupapizarras.com.